Welcome to CanadaBay Medical Centre the 3D Head & Neck Cone Beam Volumetric scan Tomography specialists. Cone Beam scanning is a specialist technology, designed specifically to capture high resolution, 3D images of the Head & Neck region. You have been referred to CanadaBay Medical Centre because your practitioner wishes to investigate your treatment area more thoroughly, enabling them to give you the most accurate and thorough treatment available. Here at CanadaBay we pride ourselves on providing patients with a quick and comfortable imaging experience. On arrival at one of our locations, you will need to produce your referral form and your medicare card (as well as any valid Pension or Commonwealth Health Care card). You will then be taken through to the room where the machine is located, where you will be asked to remove any jewellery and head/hair accessories containing metal just for the duration of the scan. Please also advise the radiographer if you have any dentures. After removal of your jewellery etc, you will be sat in the conebeam machine where you will be instructed to remain completely still. It is very important that that the mouth, jaw and throat remain still – please be careful not to swallow or make any other oral adjustments during the scan. The Cone Beam machine will make a total of two rotations around your head area – one to take the image, and the second to reset itself. This process will only take 10, 20 or 40 seconds depending on the type of scan requested. The radiographer will then check your scan to ensure it’s clear – and if so, you will then be released to go. Absolutely not. 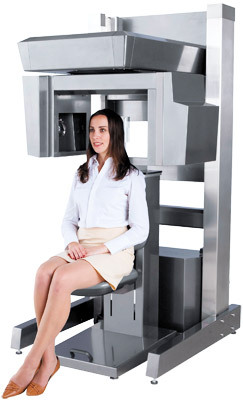 The Cone Beam scan is very quick (between 20 – 40 seconds), and doesn’t require you to be moved at all – you simply sit in a seat and the machine spins around you. Is there any preparation required for my scan?